The GPB2000 Compact Pedal Board offers guitarists an ultra-compact and portable board, perfect for the minimalist pedal rig. 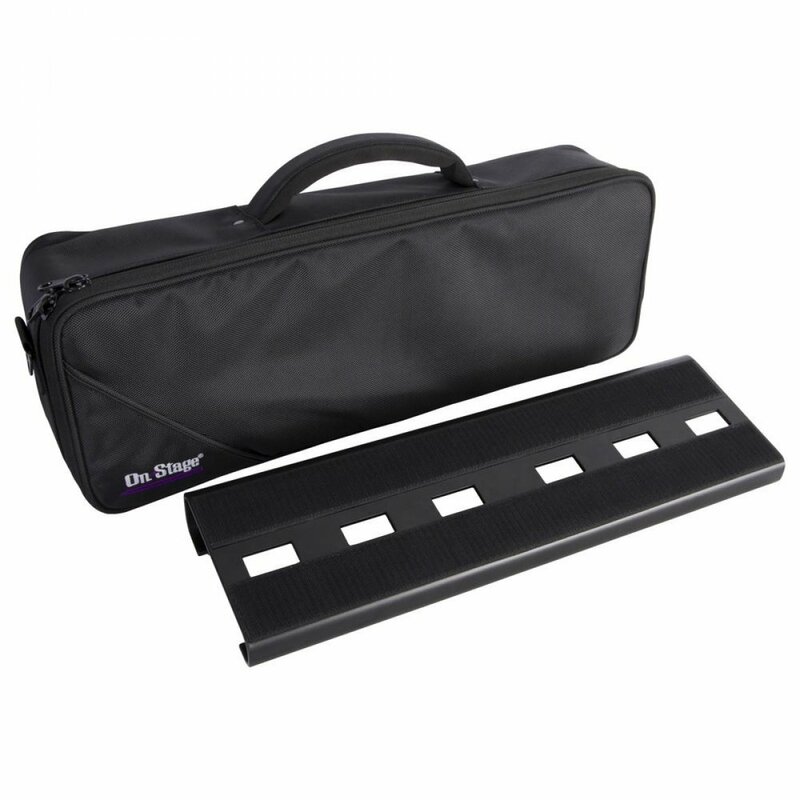 Measuring 18.75" x 6", this angled pedal board has the room to organize up to 5 standard-size pedals in the ideal signal flow. Its aluminum construction is lightweight yet strong. Strategic cutouts provide a versatile cable management system, while the included adhesive hook & loop strips mean pedals can be securely arranged as desired. What's more, it all fits in its heavy duty gig-worthy bag with removable shoulder strap, and reinforced top and bottom.